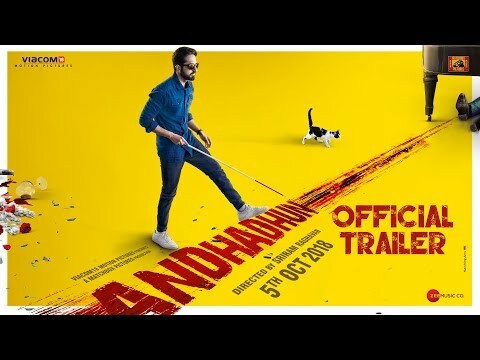 Andhadhun (transl. Blind melody) is a Hindi black comedy crime thriller film directed by Sriram Raghavan. 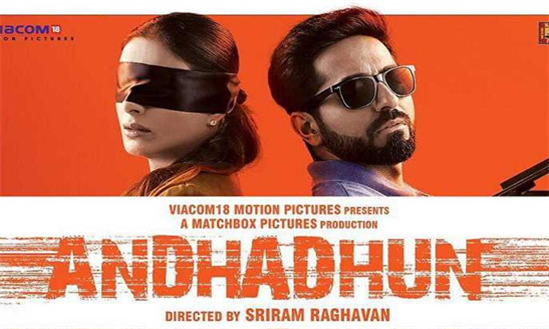 It stars Tabu, Ayushmann Khurrana, and Radhika Apte and tells the story of a piano player who unwittingly becomes embroiled in the murder of a former film actor. The film was released theatrically on 5 October 2018, and received critical acclaim and performed strongly at the box office.